I remember being a bit fascinated by combat and survival knives in high school. I even had one with a camo grip and nifty compass on the end. I still have a very nice Buck my brother gave me that I don't camp without. It's not as cool as this Halo combat by Pink Stormtrooper though. 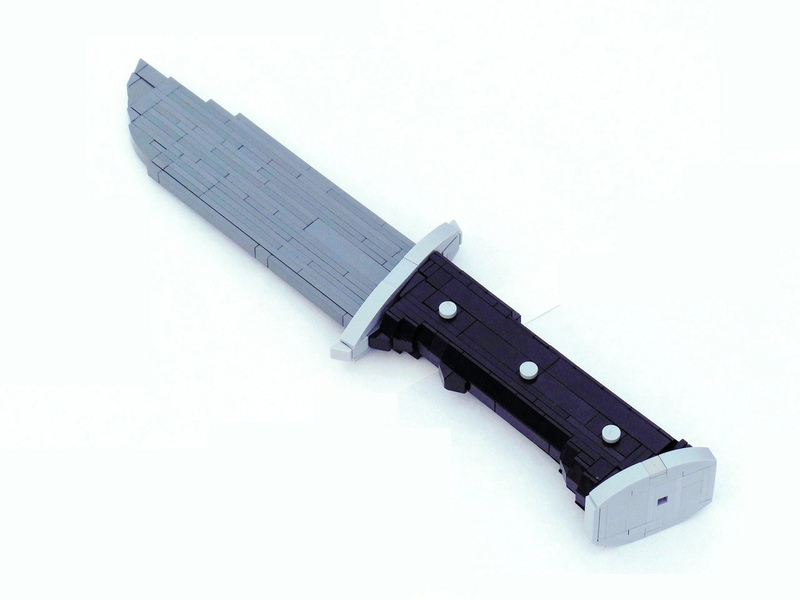 Not so much for being a knife, but for being a knife built this nice out of LEGO. Sure you can't slice potatoes with it, but who cares?